Tried everything under the sun. Hydroxycut is great. I'm already lean but needed to trim a little around the waist. Cut those stubborn 10 pounds that kept creeping up when I missed a work out. No shakes. No stomach upsets. Cuts my appetite AND I can sleep at night. Great endurance for my 70 mile weekend bike trips. Will Hydroxycut work for me? Hydroxycut is a popular fat burner that has help many users lose weight. 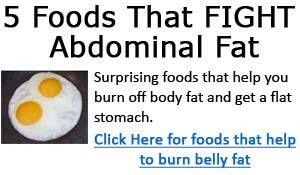 It has worked for many people, and is one of the more effective weight loss supplements right now. However, there's no guarantee that it will work for you. While many had found good results from its use, there are also numerous users who have reported that it did not work for them, and at the same time, there are potential side effects as well. Generally speaking, yes, Hydroxycut is safe. Many people do experience some common side effects such as higher heart rate and decreased appetite, and nothing majorly harmful. However, Hydroxycut is not for everyone. It contains various stimulants, which can cause problems for some individuals. This is why you should always start off taking just half (1/2) of the recommended dosage to test your tolerance. How much weight can I expect to lose with Hydroxycut? Assuming you have a healthy diet, and exercise moderately, you can expect to lose 5 to 10 pounds in the first month. Results will vary depending on the individual and their lifestyle. Is exercising a must when using Hydroxycut? It's not necessary. Hydroxycut has been shown to be even effective on sedentary people. However exercising 30 minutes a day is recommended for maximum results. Exercising will increase your daily energy expenditures, and besides, it's good for you! FAQ: How long before I see some results with Hydroxycut? There's no set answer for this question, and it really depends on the individual. Some users start to see results within the first few days, while other users will take longer before they see results. FAQ: Can I increase the dosage for faster results? No, you shouldn't. Follow the suggested use, and do NOT over use the diet pill. Taking more than the recommended dose can have dangerous effects on your health. FAQ: Can I stack Hydroxycut with other fat burners? No, you definitely should not. Hydroxycut is already a powerful weight loss formula that contain stimulants. Taking other fat burners will greatly increase the amount of stimulants you consume, and can lead to serious health risks. 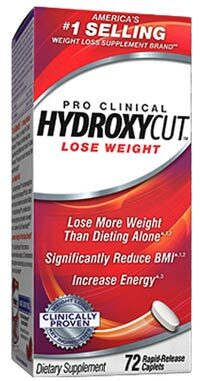 Never combine Hydroxycut with any other diet pill. I took hydroxycut for just one day... and i started feeling very strange. Shivering, diarrhea, headache, stomachache.....I felt like I was drunk. Anyway....I stoped taking them...and I immediatley started feeling better. FAQ: After I stop taking the hydroxycut will I just gain all the weight back and will my metabolism just slow down to worse than before I started? Do I have to keep it taking it forever to maintain the body I want? No, you don't need to take hydroxycut forever to maintain your body. One thing to understand is that while hydroxycut can help in a big way to lose some weight, its ultimately up to you to maintain a good, healthy diet, and maintain regular exercising to keep fit and keep the fat off. ie. say you lose 10lbs using Hydroxycut, but afterwards, you follow a high calorie, high fat diet, full of junk food etc... with no exercises at all, most likely you'll just end up gaining the fat you lost back. Whereas if you follow a healthy diet, and exercise regularly, you will not only be able to keep the fat off, you can also achieve better health and body overall. - start doing some regular exercising even if it just 15min a day, 3-4 days/wk. you can slowly increase this.